In a world where technology is constantly changing and improving, we leave behind a trail of unwanted electronics in our efforts to upgrade to the latest and greatest. 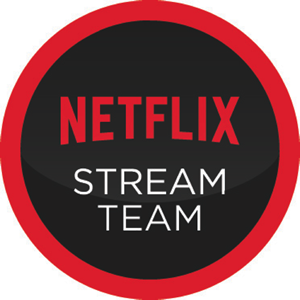 Technology is the fastest growing waste stream on the planet. Well there is a better option other than tossing the old items in the trash. Sure, if the said electronic is in working condition, you can sell it or donate or give it to a friend, but what if it doesn't work perfectly? Or what if it is a decade old? That is where the Best Buy Recycling Program helps us out. Best Buy's industry-leading recycling program is available for FREE at all of its locations throughout the United States and Puerto Rico. They will recycle most electronics including TVs, DVD players, cell phones and more. It does not matter how old your electronic item is, where you bought it or what shape it is in - Best Buy will gladly take it off your hands and safely dispose of it. For each minute that the Best Buy stores are open, they recycle 387 pounds of electronics. That is a lot of metal, plastic, wires and other components that they are keeping out of landfills. Visit the Best Buy Recycling Program website to find out exactly can be recycled at your store and watch this brief video to find out what happens once your electronics get to the recycler. When you are finally ready to upgrade from your old electronics and are dropping them off to be recycled at Best Buy, remember that they carry a large line of Energy Star certified products. Not only are Energy Star items better for the environment, they will shave a few bucks off your electric bill as well. 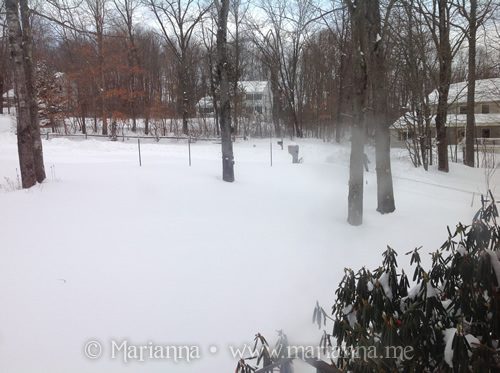 A few pictures from last weekend's blizzard. Have I mentioned how much I hate snow? Not sure what our final total was, but it is somewhere between 18 - 24 inches. 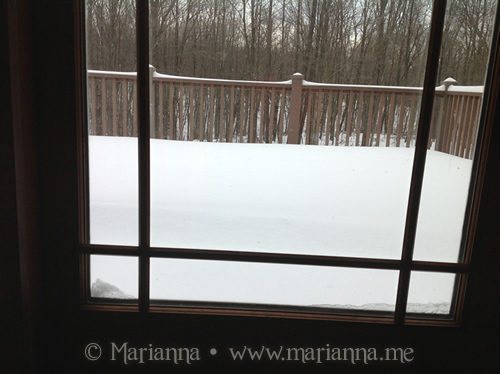 Our back deck was one large snow drift, over 2 feet high. 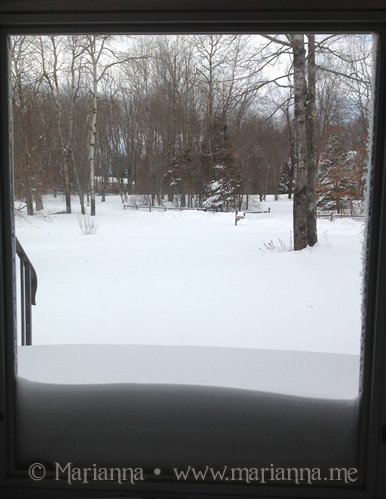 Just a little bit of snow blocking the front door. This Valentine's Day, keep in touch with your loved ones in style! 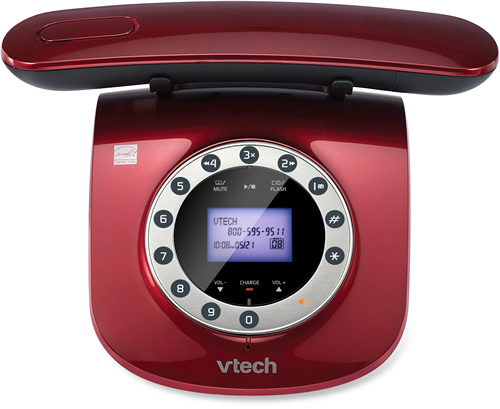 The red VTech LS6195 Retro Phone adds a splash of color to your home and will keep you passionately connected to those you love. The VTech Retro Phone uses 6.0 digital technology, which provides the best sound quality, security and range in cordless phones. If you are anything like me, range is super important when you want to bring your phone outside while watching the kids play. I love the contemporary retro design which shows off a rotary inspired keypad. The Digital Answering System is accessible from both the handset and base with 14 minutes of record time. And the feature that is probably the biggest for me is the Silent Mode ringer control which allows you to silence the ringer. This is a feature that is not on our current phone system and I miss it desperately, especially when my three year old is napping. 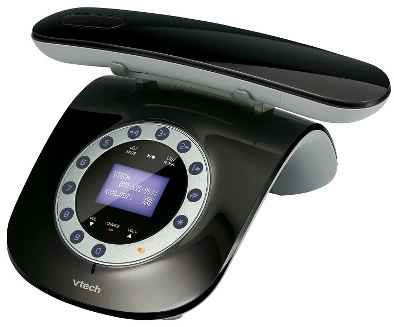 The VTech LS6195 Retro Phone is available to purchase at www.vtechphones.com and at Target, with an MSRP of $59.95. Available colors: black, white, red, blue and orange. One (1) winner will receive a red VTech LS6195 Retro Phone. This giveaway is open to US residents only and will close on February 21, 2013 at 12:00 AM EST. Please use the Rafflecopter form below. Good luck!